If a trip to Tahiti and the islands of French Polynesia is on your travel radar, chances are you'll be heading there with someone special. Nature seems to have custom-made these dreamy South Pacific islands for two. The scenery is spectacular, the water is crystal-clear, and those thatched-roof overwater bungalows rank among the planet's sexiest places to sleep. And yet families will also find a trip to Tahiti to be a sun-filled (albeit pricey) playground, as some resorts and islands have begun to cater to parents and children. Here's what you need to know as you begin planning your visit. The 118 islands of French Polynesia (an autonomous nation with ties to France) are located in the middle of the South Pacific, about eight hours by air from Los Angeles and midway between Hawaii and Fiji. Spread over two million square miles, they are divided into several groups. Tahiti, the largest island and home to the capital city, Papeete, is part of the most-visited group, the Society Islands, which also includes Moorea and Bora Bora. More far-flung are the tiny coral atolls of the Tuamotu Islands, such as Fakarava and Tikehau, and the dramatic Marquesas Islands. Tourists rarely visit two additional groups, the Austral Islands and the Gambier Islands. Tahiti is a tropical destination with abundant sunshine, year-round air and water temperatures of about 80 degrees, and two main seasons, summer and winter. The ideal time to visit is during the clear, dry winter months of May to October. Yet even during the more humid summer months of November to April, showers are mainly sporadic (typically late-afternoon and overnight) and there's usually plenty of sunshine. Los Angeles International Airport (LAX) is the gateway to French Polynesia. The islands' official carrier, Air Tahiti Nui offers daily non-stops to Papeete's Faa'a Airport (PPT), while Air France, Air New Zealand, and Qantas fly several times a week. You can also fly to Papeete nonstop from Honolulu on a weekly Hawaiian Airlines flight. With multiple combinations possible among the 15 or so islands with tourism infrastructure, which should you choose? It depends on your experience and interests. First timers: On their virgin visit to French Polynesia, travelers typically stay for seven to 10 days and stick with a circuit of three islands: Tahiti, where you may have to stay overnight upon arrival or prior to departure, depending on flight times; Moorea, a lush, emerald-hued island located just a short flight or ferry ride away from Papeete; and Bora Bora, the crowning glory of the Society Islands with its magnificent Mt. Otemanu peak and world-famous lagoon. Specialized interests: Repeat visitors, honeymooners, and scuba divers often bypass Tahiti and Moorea and head to islands a bit further afield. A great combo for second-time visitors or romantics is Bora Bora, where the views never get old; Taha'a, located a short flight from Bora Bora with excellent pearl and vanilla farms; and Tikehau, Manihi or one of the other secluded Tuamotu atolls, where the main activities are snorkeling, sunning, and relaxation. Divers typically head for the amazing coral reefs of Rangiroa, which is ranked as one of the world's great dive destinations. Adventure-seekers enjoy exploring the Marquesas, where ancient tribal lore and customs are commonplace. Yes, for a number of reasons. Almost everything except fresh seafood and tropical fruit has to be shipped in from a great distance - making food the most obvious expense. Add in the high cost of electricity and a currency tied to the euro, making the exchange pricey for Americans. 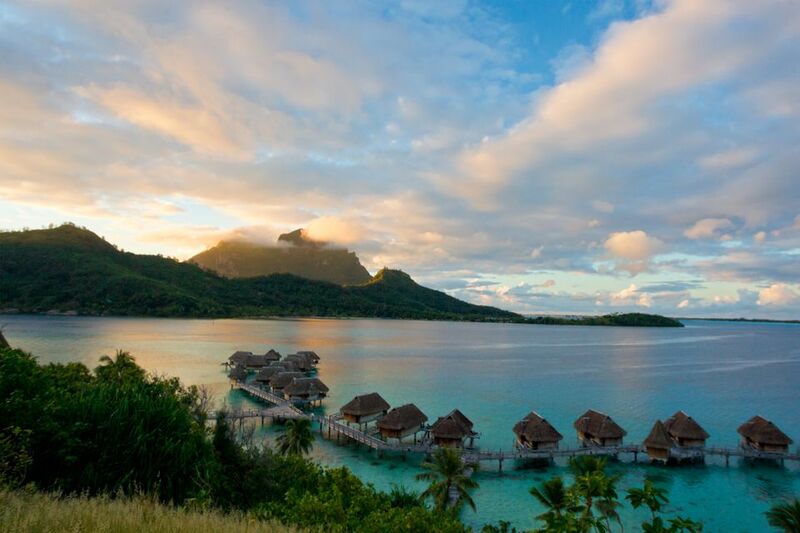 Bora Bora and Taha'a resorts tend to be priciest, while those on Tahiti, Moorea, and the Tuamotus can be a third to a half less. To save, choose a beach bungalow over an overwater bungalow and look for a package with breakfast included. A variety of sources are now also offering package deals, that include air, accommodations, and sometimes even certain meals, making a visit more affordable than ever. No, for stays of 90 days or less, citizens of the United States and Canada need only a valid passport. Somewhat. Tahiti's two official languages are Tahitian and French, but you will find that most hotel employees speak English, as do people who work in shops or for tour companies. No. French Polynesia's official currency is the French Pacific Franc, abbreviated as XPF. You can exchange money at your resort and there are a few ATM machines on Tahiti, Moorea, and Bora Bora. Some vendors in local handicrafts markets will accept U.S. dollars. What Is the Electric Voltage? You will find both 110 and 220 volts, depending on the hotel or resort. Bring an adapter set and a converter to make sure you're covered. It's the same as Hawaii: Three hours earlier than Pacific Standard Time and six hours earlier than Eastern Standard Time (adjusted to two hours and five hours, respectively, from November to March). None are required for residents of North America, but making sure your tetanus vaccination is up to date is a good idea. Also, pack plenty of bug repellent, as Tahiti has its share of mosquitoes and other insects. Which Islands Are Most Family-Friendly? The Societies - Tahiti, Moorea and Bora Bora - where a number of resorts have added accommodations suited to families, as well as kids programs. Can I Cruise the Islands? Yes. Several ships visit the islands. They include the m/s Paul Gauguin, a 320-passenger luxury ship, offering varied itineraries within French Polynesia and the neighboring Cook Islands year-round; the Royal Princess, a 670-passenger cruise ship, offering 10-day roundtrip sailings from Papeete and 12-day cruises between Hawaii and Papeete; and the Aranui 3, a combo freighter/passenger ship that makes scheduled two-week runs from Papeete to the Marquesas.